Happy hump-day! Glad you're here today. I've been thinking a lot about picnics lately. There is something so idyllic about gabbing a blanket and a large basket, stuffed with foodie delights, setting out for an adventure full of sunshine, fresh air, and beautiful scenery...The weather has been perfect for setting out on an adventure as such, so my mind often wanders to daydreaming and planning. and today's card is a tribute to those sweet Summer days...The many layers, textures and colors, remind me of a pretty patchwork of quilt blankets, Summertime table linens and pretty floral Summer dresses...The doilies are always a reminder of a simpler time, and moments taken to enjoy the homemade. Whether it be a mason jar filled with preserves, or dainties scattered about a doily-lined platter. I'm very keen on setting aside time in our calendar to enjoy this favorite family tradition in the months to come, but for now, join me in my daydream, won't you? To start my first tag, I used PTI's Tag Sale: Quilted die. I cut two of these beautiful scalloped tags, and added a continuation to the first tag so as to make a longer, rectangular shape. To the base of the tag, I added a beautiful fuschia Doodlebug doily. I am such a fan of these colorful doilies! I know it's super easy to cut a doily with the so many lovely dies available, but I just find it so tiring to poke out all the itty bits (see below), and I love the colors that these doilies come in! Atop the doily, I added a tiny stamped green heart with PTI's Cover Plate: Hearts and stamps watercolored cardstock circle, along with a few branches of leaves, in colorful tones, stamped with my favorite colors of Archival Ink: Magenta Hue, Cactus Flower, and Rose Madder. I just love how evenly these inks stamp - I used a really old, inexpensive acrylic stamp for these leaves, and they stamped perfectly. I fussy cut the leaves before adding them to the tag. Just under the doily, I added a couple of stamped leaves from PTI using the Leave It Be stamp set and dies, in colors of Spring Moss and Ripe Avocado. I added the banner from the set, with a stamped and fussy cut sentiment from the Strawberry Patch Sentiments from PTI, which is one of my all time favorite sentiment sets. Sadly, it will be discontinued soon, so be sure to pick them up before they're gone for good. I stamped the sentiment in Raspberry Fizz ink, and added a little fabric tape to the bottom! For the next tag, I used PTI's Tag Sale #1 die, and PTI's Limitless Layers: Ovals, in which I cut the scalloped oval first, and used the plain oval to cut out the center out of pink cardstock. 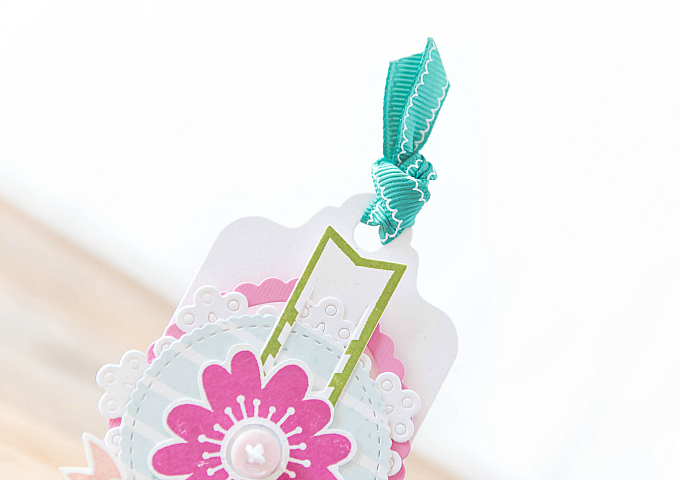 At the top of the tag, I added some printed teal ribbon in a simple knot. 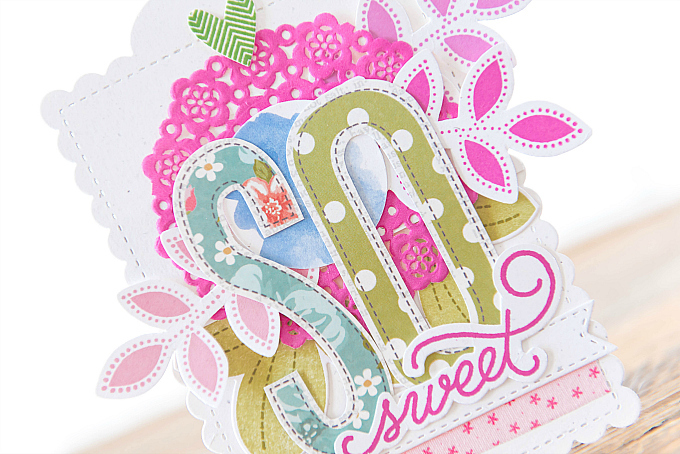 To finish the tag, I added a striped circle diecut, cut using PTI's Holiday Hugs Make it Market Mini Kit. I added a stamped and fussy cut flower, stamped in Raspberry Fizz ink, and a banner stamped with Melon Berry ink and Crate Paper's Little You stamp set. I also added a little page marker stamped in Archival Leaf Green and a sweet, pink button. I hope these tags have brightened your day and stirred some excitement about all the upcoming Summertime fun. 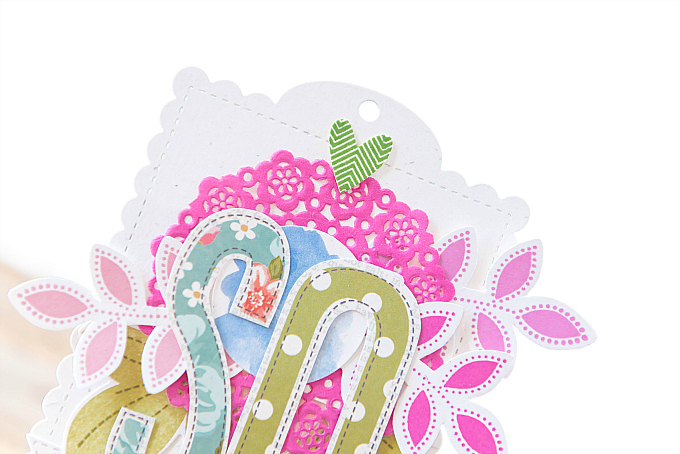 Dear Ivana, this card/tag set is absolutely a fave of mine! Oh My Word! Thank you so much, my sweet friend! So glad it brings a smile to your face :) Sending BIG hugs!! Beautiful creations! I love the colors you used. WoW!!! 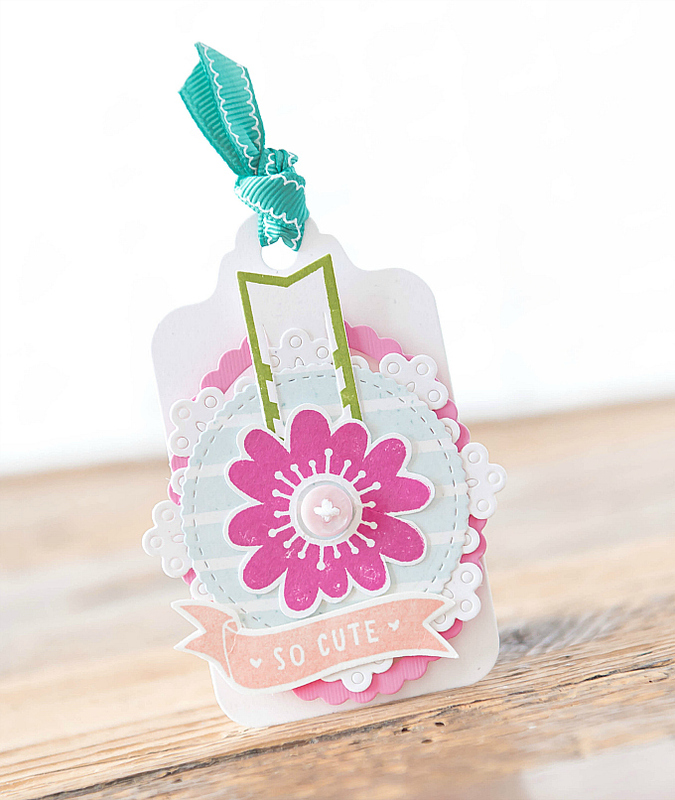 Stunning card and tag Ivana! 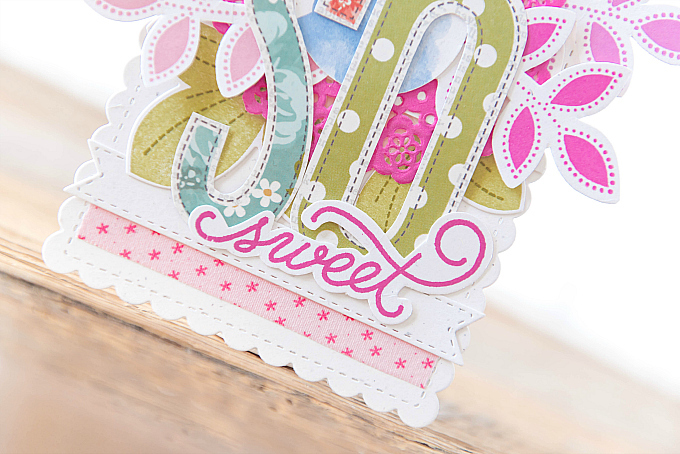 Love the bright and happy colors put together is such a divinely gorgeous design! Aw, thank you so much, Samra!! I'm so glad the bright colors bring a smile to your face! :) Sending hugs! Oh wow--beauty to start my day! 2 wonderful tags, but I can't stop looking at the first one! Wish I'd come to your blog before putting in my PTI order--I would have gotten that sentiment set. The DB doily is gorgeous--hadn't seen them! It's an element I especially love, but don't often work them into my designs. I even save them when a restaurant puts one under the soup bowl! 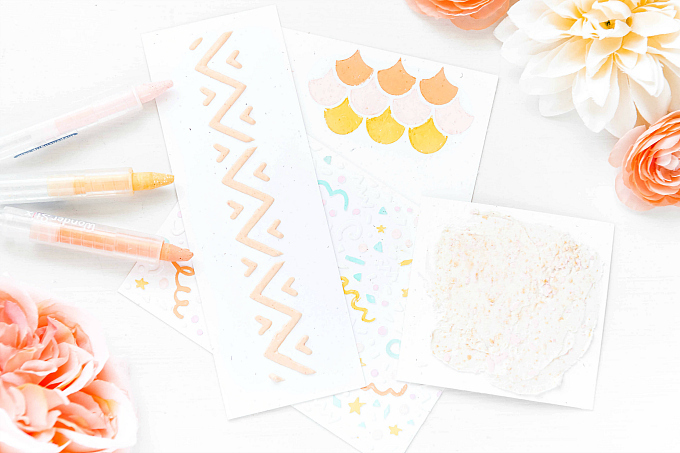 Those inexpensive leaf stamps are wonderful--love their design! I have about a million ink pads, but only the black Ranger Archival. The pink shades you used are winners! Picnics were the main social activity when I was a kid. We always went with another family for Memorial Day w/e, so I was just thinking about it & missing my folks. Thank you for this great post, Ivana! Big, big thanks, dear friend! I admire you as an artist so much, and your sweet words mean so much to me! !